Split agency partnerships are the best alternative to white labeling for your next IT project. The model guarantees fluid project development and transparent communication between a client, design agency, and development shop. It’s no secret that small businesses have to invest more in IT to remain competitive in a growing market. In fact, Techaisle, a global IT market research and industry analyst organization, estimated that the global IT spend for small businesses in 2015 was about $597 billion. And, in the U.S. alone, small businesses spent $49.9 billion on mobile technology and $29.4 billion on cloud services. The increase in spending on IT services shows that even though at one point small businesses could get away with a run-of-the-mill, static website, now, staying afloat requires having a sleek, responsive website, dynamic content, integrated digital marketing, a strong social media presence, and maybe even a custom app. So, it’s not surprising that most first-time IT buyers go looking for a full-service agency that can handle their entire project. After all, who doesn’t love a one-stop shop? The challenge becomes finding the right full-service agency for the job. The problem is, far too many agencies present themselves as experts when, in reality, they’re really just generalists – jacks of all trades and yet masters of none. “Okay” at everything, they excel at nothing, leaving the client with a mediocre product. Full-service but unspecialized agencies are more likely to apply a generic solution to a challenge than to produce something from scratch that’s tailored to a specific client. Worse still, some agencies pretend to do all the work themselves, while secretly subcontracting different aspects of the project to unaffiliated and unauthorized third-party suppliers. This is commonly known in industry circles as white labeling, and it’s partially responsible for significant project failure rates in the IT sector. White labeling has serious risks and consequences. A promising alternative to white labeling exists, split agency partnerships. In this article, we discuss the risks of white labeling, introduce the split agency partnership model, and connect you with some pioneers in the split agency space. Setting the Scene: What is white labeling? White labeling, the practice of subcontracting some or all of a project to a third party without the client’s knowledge or consent, is surprisingly common. The best way to understand how white labeling works (and the challenges that arise from the practice) is a real-life scenario. Imagine you’re in charge of IT for a regional fast-casual eatery like Boston Market. You decide your restaurant needs an app so eager patrons can swipe effortlessly through your menu items and look up nutrition facts on their phones. 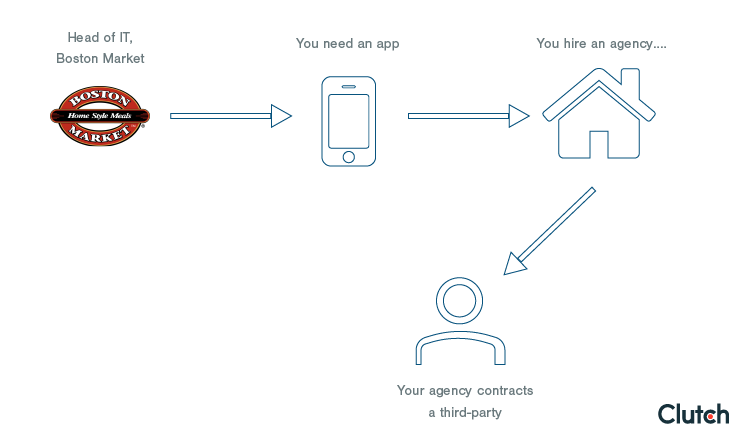 In late June, you contract a “full-service” product development agency to build the app for you. You set a conservative deadline of December 1, with a release following shortly thereafter. Your team is excited to have an app because you know it will get your customers excited and set you apart from the competition. The full-service agency you hire claims full responsibility for the project, meaning they promise to lead the project through all stages – research, planning, design, development, testing, and launch. However, the full-service agency secretly subcontracts a cheaper, third-party to perform the labor-intensive database architecture and custom backend development. Without ever interacting with the commercial client, whose very business depends on the project’s outcome, the unknown third-party develops the functional elements of the app. It’s October or November by the time the third-party developers pass the app back to the originally hired full-service agency, and the whole product gets put together. What happens next should come as no surprise ­– the product isn’t what the client expected. Information and goals were likely lost in translation. White labeling poses significant risks that must be mitigated. It becomes nearly impossible to communicate feedback that’s essential for shaping the final product if you, the client, are unaware that a third-party is responsible for certain parts of your project. The full-service agency ends up playing the role of messenger, relaying information back and forth between the third-party’s team and you. This is a recipe for disaster. In our regional restaurant example, perhaps you want customers to be able to save their favorite orders and place them ahead of time in a specialized personal feed. Perhaps you want customers to be able to pay for orders using widely accepted services, like PayPal and Apple Wallet. Order shortlists and payment capabilities require complicated bits of code, and without your regular feedback, the chance that the third-party misses a step is high. Communication between the full-service agency, third party, and you resembles a broken triangle. The full-service agency gives the third-party a task but you, the client, never gets the chance to offer feedback. The broken triangle approach to communication is risky. If the third-party doesn’t have the required expertise to complete a task, the full-service agency is far less likely to convey what needs to happen effectively. The client is always in a better position to share feedback about product design and development. The final product may not prioritize the end-user experience or meet your expectations when a subcontracted third-party reports to the hired, full-service agency instead of the client. The app could be built exactly to spec, but due to inadequate context or misinterpretation, the solution itself may still fail to achieve its intended purpose. Miscommunicated expectations may result in delays, even if a subcontracted third-party delivers their portion of the work by a specified deadline. In situations like these, budgets are often depleted after crucial windows of opportunity have long since passed. The time and resources that you already invested are unlikely to be recovered. Even worse, the full-service agency may charge you more for work that was not necessarily produced under the contracted terms. Some may even expect affiliate commissions from their third-party contractors, further lining their pockets instead of doing what’s best for you. To avoid getting caught up in the ethical quandaries of white labeling, a few progressive firms pursue a different method – split agency partnerships. The split agency model has the potential to radically reorganize the way businesses approach certain technology projects. Anna Zarudzka, Managing Partner at Chilid, a web design and user experience agency. 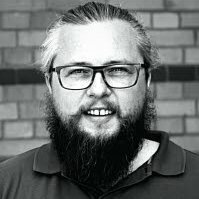 Piotr Majchrzak, Managing Partner at XSolve, a digital product development shop. Although Chilid and XSolve occasionally work separately, they tackle the majority of their projects together, an approach that highlights both firms’ strengths. Anna of Chilid first thought of the split agency model when she was a client, hiring different IT providers for design and development projects. She discovered that development houses considered design something to slap on top of their beautiful code. Conversely, design agencies delivered sloppy, unsustainable code, simply because they primarily focused on the user experience. Both the design and development firms involved delivered an exceptional half of the product at the expense of the other half. The key, Anna realized, was achieving the perfect balance. So, she decided to leave the television industry and start Chilid in tandem with her colleague Piotr of XSolve. At the core of Anna and Piotr’s approach to solution-delivery is a deep and holistic understanding of expertise. One of the critical, yet under-examined challenges in the IT field is that unlike other expertise-driven professions, such as law or medicine, there is no centralized body, degree, or metric that separates the actual experts from those who merely list “expertise” on their résumé. Cultivating true expertise demands practicing the same skill repeatedly, experiencing different outcomes first-hand, and then troubleshooting accordingly. A split agency partnership allows designers to design and developers to develop, but it preserves the critical feedback loop between the two components. You can’t have these groups working in isolation, but you don’t want them dividing their focused expertise, either. Although split agency partnerships will not always guarantee project success, they can mitigate common risks that may make project failures more likely by giving a client more control over which agency is responsible for different parts of the project. Split agency partnerships encourage transparency because all parties understand what they are responsible for and why. The trend toward greater transparency comes with three important benefits. Because all parties collaborate in interdependent teams of subject matter experts, everyone knows who is responsible for each part of a project. All parties involved in a split agency partnership remain focused on their core expertise, which encourages each partner to take ownership over the work and advance it proactively. Split agency partnerships are built between firms that align on values and approach. Each partner respects and challenges the other, which leads to candid communication, reduces uncertainty, and mitigates risk. 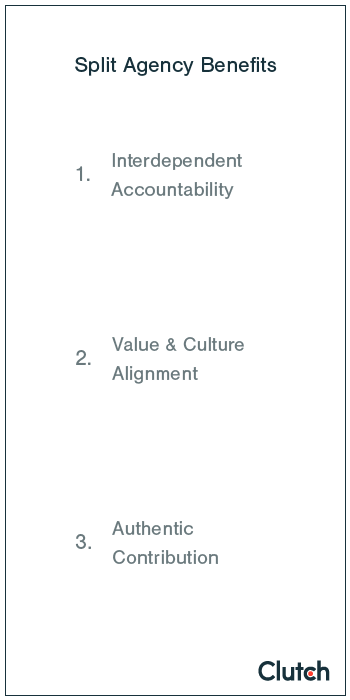 The alignment between values and approach is one reason why XSolve and Chilid work so well together. After collaborating for years, both firms are familiar with how the other team operates and what their capabilities and limitations are. Split agency partnerships allow both partners to focus on the activities in which they excel, encouraging more meaningful contributions. In conventional client-agency arrangements, a delivery team is responsible for multiple tasks, such as wireframing, coding, and more. This significant responsibility may diminish results. However, when experts are able to focus on their areas of expertise, there’s more room for creativity. The people responsible for different tasks have the freedom and power to contribute proactively in meaningful ways. Specialists focused solely on their chosen niche and left to their own devices are more likely to explore new ideas and push the limits of what’s possible. Hiring an IT provider for the first time can be a process that’s full of surprises. It means you’re addressing new business or organizational challenges as you grow. But, in a climate of frequent IT project failure, the way you engage with your provider is one of the most important elements within your control. Following our interviews with XSolve and Chilid, we realized that split agency partnerships have significant potential to ease the IT procurement process, especially for first-time buyers. First, the split agency model mitigates the risks of white labeling. Second, the partnership model lays the groundwork for an open atmosphere where all parties can learn from one another. Third, split agency partnerships create a more transparent IT culture. Fourth, the model helps all three partners – the client, the design agency, and the development agency – achieve their business goals in an ethical and cooperative way. 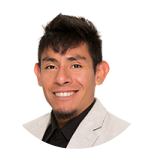 Joshua Margolin is a principal analyst at Clutch responsible for research production, business development, and content quality assurance. The insights he shares are drawn from experience conducting over 1,400 stakeholder interviews with the past and current clients of listed vendors. Sydney Boles is a freelance writer and editor for Clutch. She is pursuing a master’s degree in Social Justice and Investigative Reporting at Northwestern’s Medill School of Journalism. How You Can Help Businesses Find a Web Development Firm: Have you worked with any of these web development companies? Help other businesses find the best partner by sharing your experience and feedback.